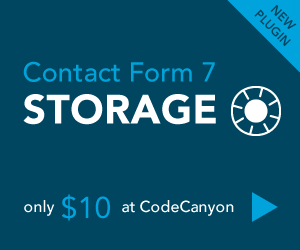 Today I am releasing my very first commercial WordPress plugin called Storage for Contact Form 7 which keeps copies of all Contact Form 7 submissions in your WordPress dashboard. It is available on CodeCanyon for only $10 and it is licensed under GPL, of course. I’ve always wanted to try selling WordPress products and now finally this year I have given it enough thought and effort to finally have something out the door. All of my commercial plugins and themes will be released under the Preseto brand. I hope to publish more next week about my experience so far.